When you're in need of dental implants you'll want to select a Mission Viejo dentist that has extensive experience in Mission Viejo dental implants. This is because you'll want your implants to look, feel, and blend in with your real teeth so that your smile looks natural and vibrant. Here at O'Braitis Dental you'll receive the highest quality Mission Viejo dental implant care and we know that you'll be absolutely pleased and even thrilled with your implants. When it comes to replacing one or more teeth in your mouth, a Mission Viejo dental implant is often the treatment of choice and is also one of the most conservative treatments for tooth replacement. Mission Viejo dental implants are biocompatible posts that replace the roots of your missing teeth. They are physically and biologically designed to attach to your jaw bone and become the foundation for a natural looking restoration. Mission Viejo dental implants are prescribed to replace a missing tooth or teeth. An implant post is placed where the tooth is missing. A customized crown or bridge is permanently cemented to the implant. Mission Viejo dental implants restore the natural beauty, function, and health of teeth. Mission Viejo dental implants in the most simplest of terms are biocompatible replacement teeth that actually attach to your jaw bone in become your new permanent teeth. The most talented and the most experienced Mission Viejo dentists will implement implants in such a way as to make them indistinguishable from your real teeth. There are a number of different people in different scenarios that might need and can use Mission Viejo dental implants. Of course need will be determined by your Mission Viejo dentist however the following is a short list of scenarios that might require dental implants. Be sure to speak with your Mission Viejo dentist to see if you qualify or are in need of dental implants. When you visit Mission Viejo dentist Dr. O'Braitis for dental implants you're going to find that the services you receive and Dr. O'Braitis' extensive experience with Mission Viejo dental implants goes far beyond that of other dentists in his area. Additionally Dr. O'Braitis is quite good at making his patients feel calm, reassured, and as though they are in the most capable hands. 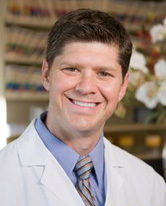 You won't find another Mission Viejo dentist like Dr. O'Braitis nor will you find any other services that meet the high standards he has set for himself.